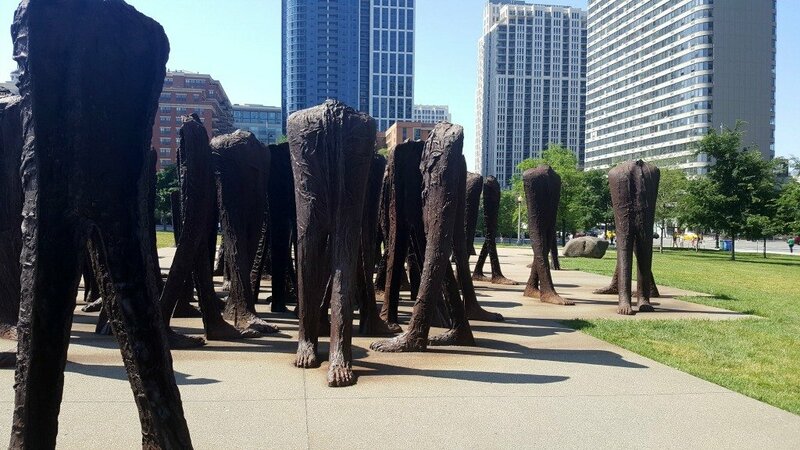 There’s nothing creepy about a mass of headless sculptures in Chicago that seem to be mindlessly wandering through Grant Park, said no one ever. I admit, from a distance, I found Agora, the art installation on permanent loan from the Polish Ministry of Culture, more than a little disturbing. 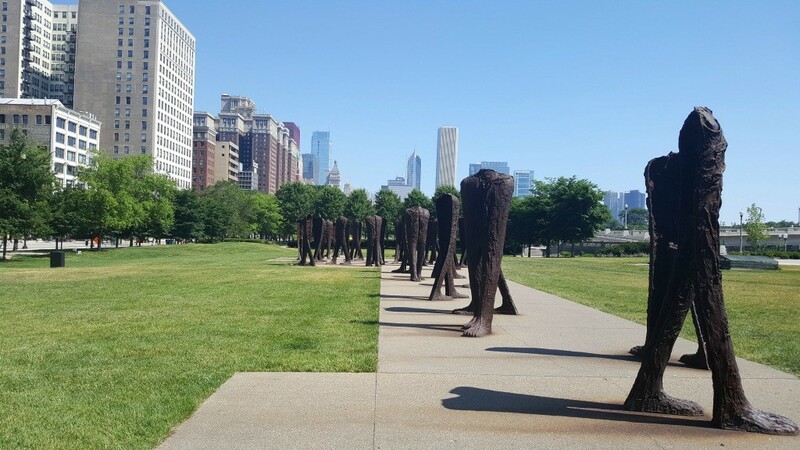 And then I got closer and learned about the artist, Magdalena Abakanowicz, and the exhibit from my tour guide with Absolutely Chicago Segways and I left a little bit fascinated. 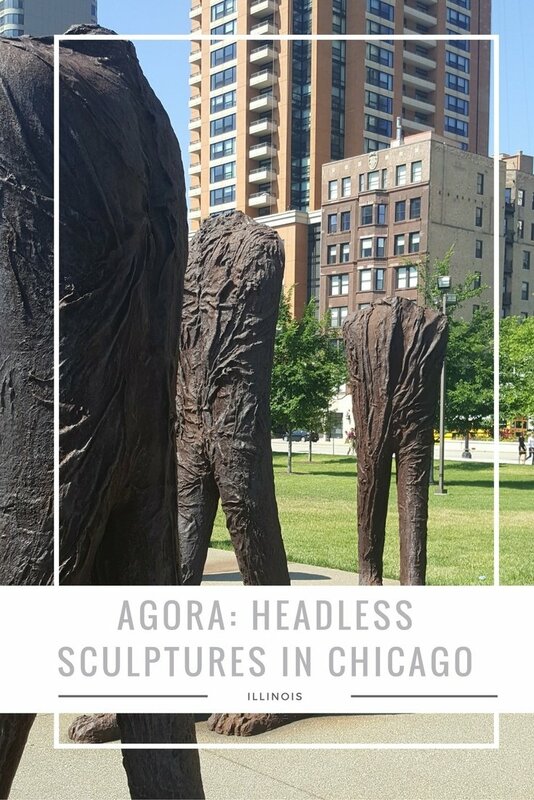 Agora, which means “gathering place in Greek” consists of 106 nine-foot tall torsos. Some seem to be walking, while others seem anchored in place. Each sculpture weighs eighteen hundred pounds. 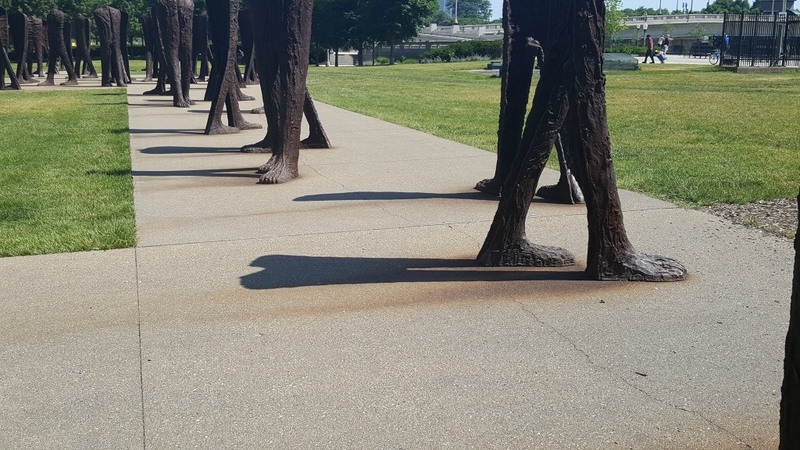 From a distance, they may look similar in shape but when you approach for a closer look, you’ll see these sculptures that are cast in a seamless piece of iron have different details. The project took the artist and three assistants from 2004 to 2006 to complete. Private donors, including actor Robin Williams, generously donated over $700,000 to have the artwork brought from Poland and installed. 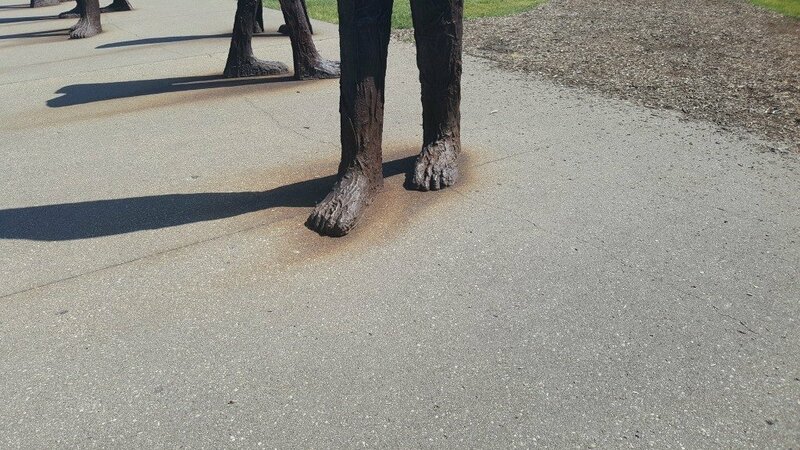 As you walk among the statues you’ll notice the rust-colored shadows that are appearing on the concrete around each of the sculptures 24-inch feet. 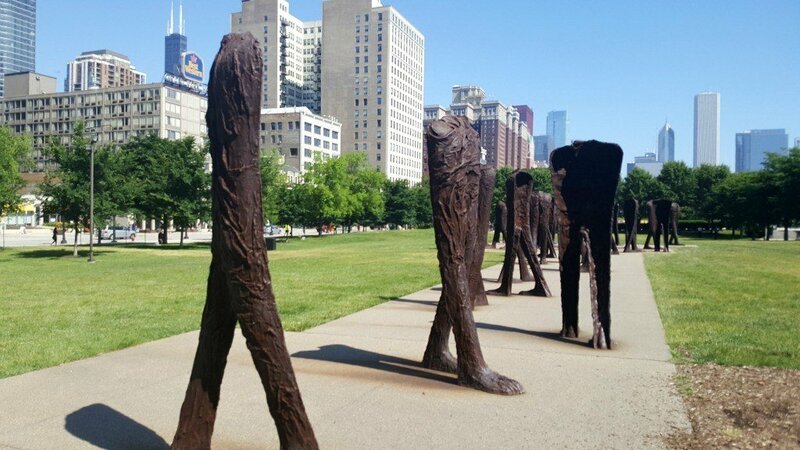 The art of Magdalena Abakanowicz can be viewed around the world. 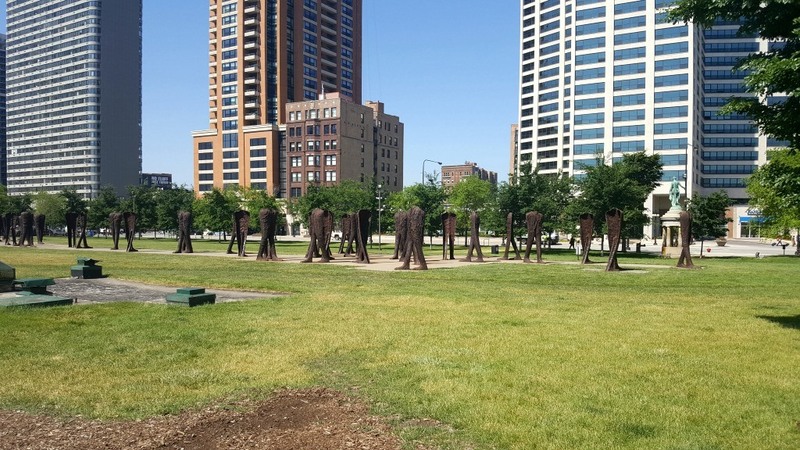 Agora is the artist’s largest permanent installation to date. 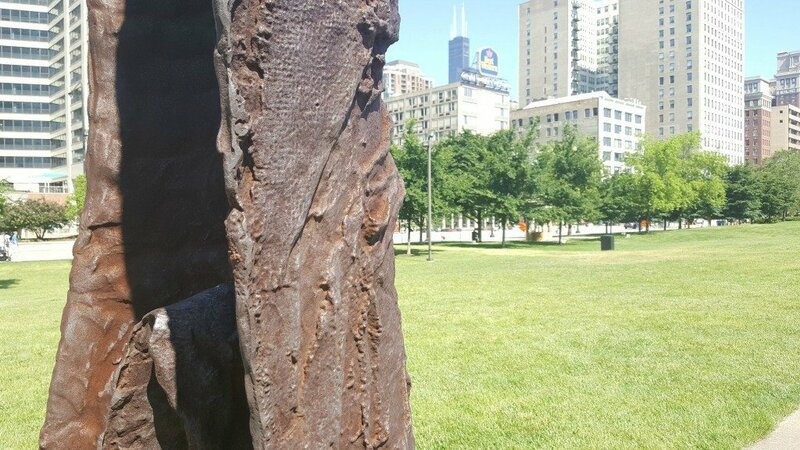 The rusted bark-like figures are designed to rust and will eventually disintegrate into dust. 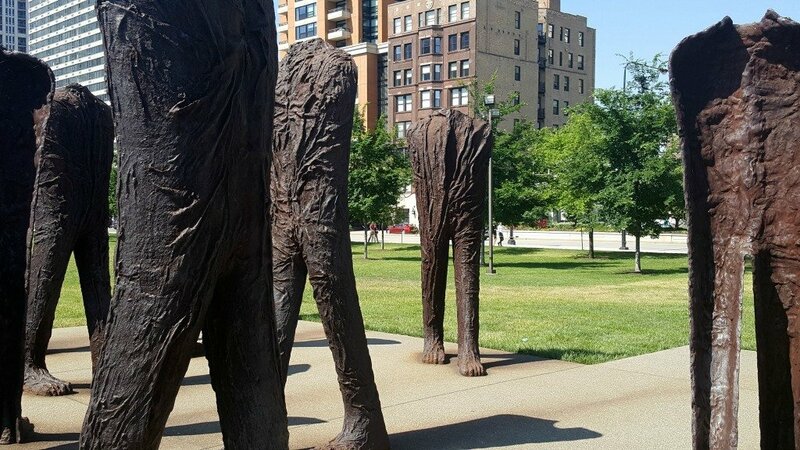 You’ll find this outdoor exhibit in Grant Park in Chicago at the corner of South Michigan Avenue and East Roosevelt Drive. Is this exhibit on your list of must-see attracctions in Chicago on your next visit? Get the Chicago CityPASS, the best deal in the Windy City! Are you planning to spend a few days in the city? Find the perfect Chicago hotel at the lowest price. Check hotel rates at TripAdvisor! Wow, how unique! I love segway tours, they are my favourite way to learn about a city, interesting things like this always pop up! I just can’t get into the headless sculpture stuff. 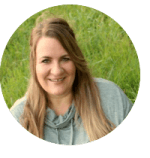 It’s a thing and I guess I better embrace it! You’re right, it was disturbing at first sight. 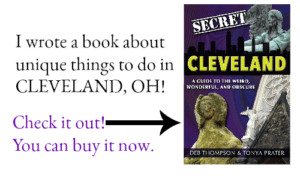 However, the history behind it all is amazing! 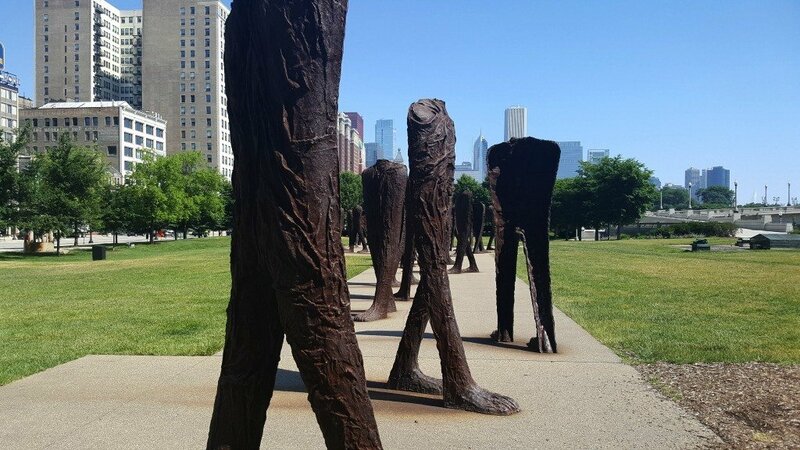 I have not seen this installation in Chicago, but Magdalena Abakanowics has a similar installation in Vancouver, British Columbia called Walking Figures which I have seen. It is fascinating. This is so neat. I love public art with a meaning behind it like this, it really makes you think. These are so interesting. I loved my trip to Chicago.